While parents struggle to imagine how mobile devices will change their children’s social, emotional, physical and future work lives for better or worse, children growing up in today’s Digital Age cannot imagine a world without those devices. Most researchers agree there are benefits and pitfalls of smartphones usage, but there is not global agreement on just how technology will change the lives of future generations. While there is much uncertainty on how technology and smartphones will impact human development. 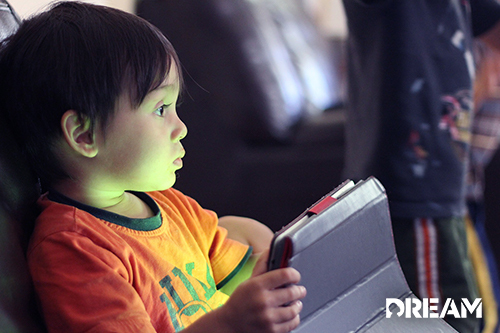 There are ways parents can keep their kids healthy in the digital age. When parents manage screen time for kids, they help children discover other healthy ways to find meaning in life. Kids create a balance between interacting with technology and developing real-life relationships with humans. A growing body of research shows that excessive screen time contributes to the inactivity the and obesity crisis affecting today’s youth. Learning how nature fosters happiness, and encourage your children to be physically active. Researchers have associated the growth of social media and technology use with rising rates of depression, anxiety and suicide. Parents who are well informed about childhood trauma and the symptoms of mental illness can act more quickly to help children in need. It is easy to imagine that social media increases connectivity and friendships for children. However there is a growing sense of loneliness in today’s youth. Parents should encourage children to become involved in shared activities that provide social interaction in real time. Wellness and exercise apps help promote healthy lifestyles for children and parents. Many can be shared, making learning and fitness fun and a bit more challenging. There is growing evidence that digital devices in bedrooms deter children and adolescents from the sleep they desperately need. Establish rules that the whole family will follow, leaving devices to charge elsewhere overnight.